I don’t have a very exciting post for you all tonight, I’ve had a really tough few days health wise. In and out of the hospital for multiple reasons. But the good news is that I can now do treatments from home!!! Any who, in the Christmas spirit, I’ve started to decorate the house. I’ve only finished half of the stairs ( I ran out of garland and ornaments ) but I thought I would share anyways. 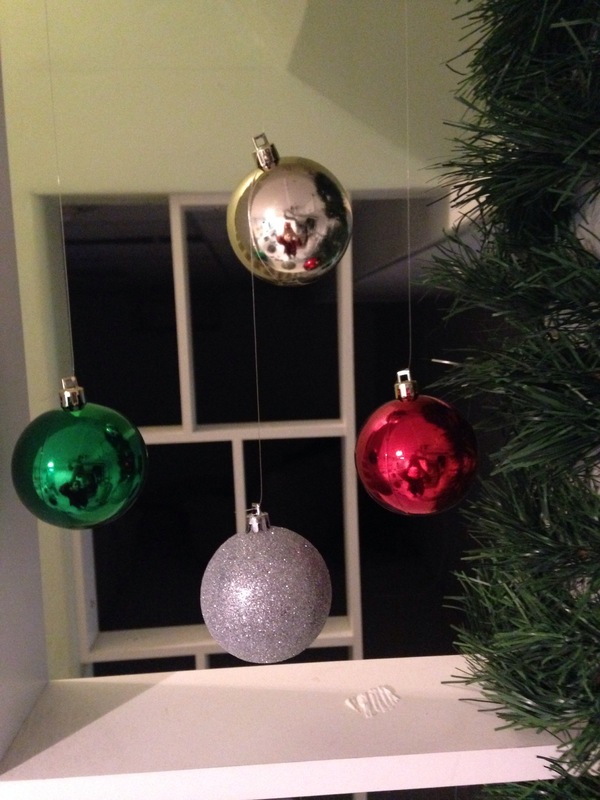 This is a super easy way to make your home a little more festive. 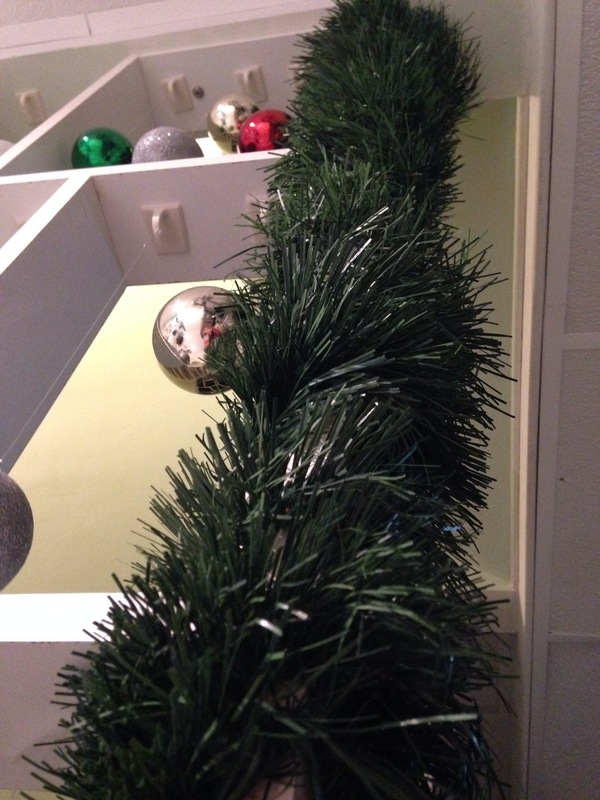 If you don’t have stairs like I do, just hang the ornaments in between the stair spindles/railing. So basically all you do it wrap the garland where you want it, add the lights and then hang the ornaments. 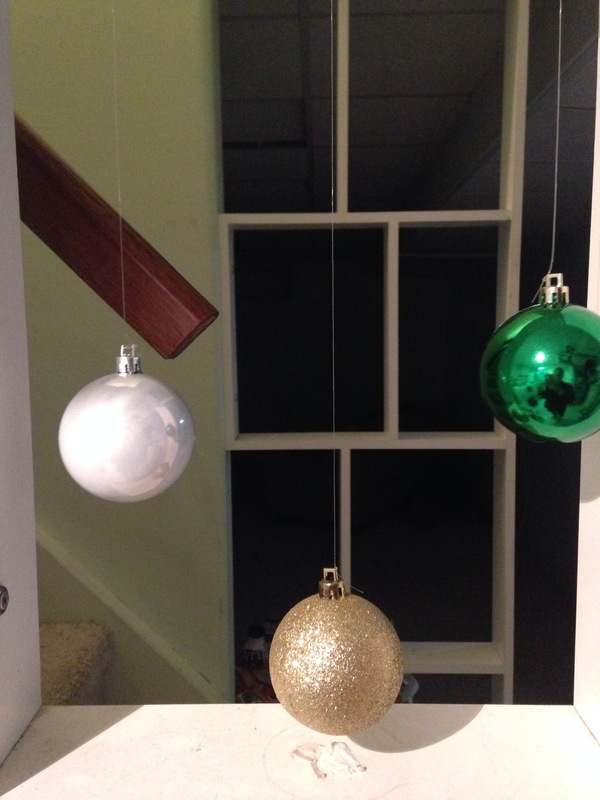 Place the hooks where you wants the decorations to hang and cut the fishing line to the length you want. I staggered the length of mine. Fast and easy! It’s cheap too! Have fun! 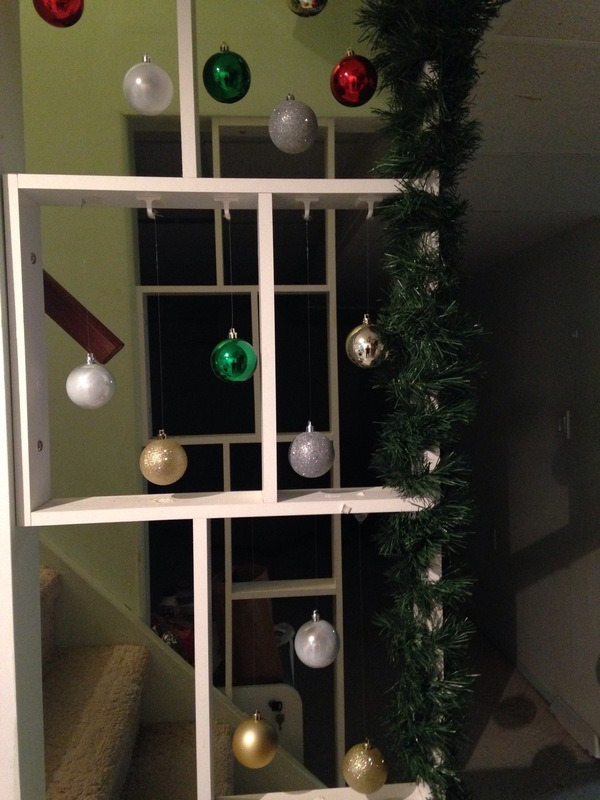 Let me know how your decorating for the holidays! !